If Initiative 77 is repealed, it will mark the fifth time that elected officials have set aside a ballot initiative. The D.C. ballot initiative voted on last month that would outlaw the tip-wage system is all but dead. Last week a majority of D.C. Council members introduced a bill to repeal Initiative 77, filed the day after hundreds of tipped employees, alongside nightlife and hospitality co-workers and managers, visited them at their offices. The “Tipped Wage Workers Fairness Amendment Act” would set aside the surprisingly competitive election result on a proposal originally expected to win by a wide margin. The measure instead passed by a differential of only five points, with fewer than 10 percent of registered voters casting a ballot in favor. With several additional Council members expected to also vote for repeal, and with Mayor Bowser strongly opposing the proposal, its ultimate fate offers little suspense. There will, of course, be an elaborate funeral in the fall when the D.C. Council returns from summer recess, highlighted by a marathon public hearing anticipated to run through the early morning hours and perhaps become the lengthiest in city history. 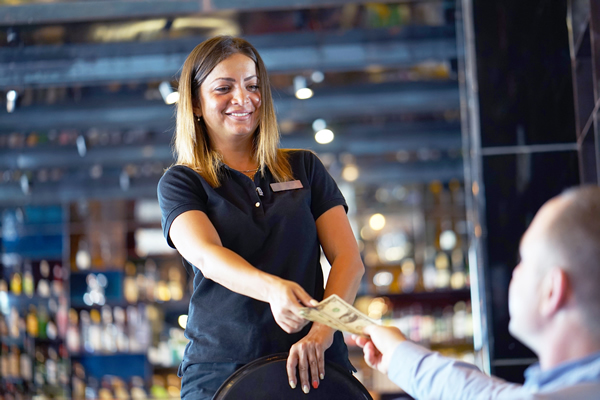 While the eventual outcome is predictive, scores of tipped bartenders and servers at many of the more than 1,700 bars, restaurants, and nightclubs will want to take the time to testify and throw their handful of dirt on the proposal’s grave. The D.C. Council held a similar “show trial” on the tip-wage system in 2016, subsequently deciding to side with workers in order to protect tipped employee jobs, livelihoods, incomes, and their ability to remain residents of a city they love. Notably, a much higher percentage of tipped restaurant and bar employees are District residents than the overall workforce employed at D.C. businesses. Tipped worker concerns about being able to afford living in the city or surrounding metropolitan area if essentially transitioned to hourly wage compensation at a level far below their current actual and potential earning ability became a major theme in their pre-vote pleas. If Initiative 77 is repealed, it will mark the fifth time that elected officials have set aside a ballot initiative in the relatively short history of Home Rule and scant number of publicly voted proposals. As a Washington Post editorial noted last weekend, “The home-rule charter fully empowers them to alter or eliminate Initiative 77, as they would any other statute.” The Post editorial board sided with repeal, saying, “we think that’s in the public interest … because it was a solution in search of a problem,” adding it was evident that many workers opposed the initiative. To not respect and support tipped workers would merely reinforce what they already fear: That local liberals are more enamored toward a preconceived political notion than willing to listen to those who will be harmed by a policy change. To continue to do battle with workers tells them that the left believes complex and nuanced economic issues are simple, that co-working independent small business operators are corporate devils, that worker opinions don’t really matter, and that abstract policy prescriptions are more important than actual people directly affected. That’s not a “good look” for so-called progressives, especially as all of the “further-left,” and Initiative-77-supporting, challenger candidates suffered defeat. Despite angst by the far-left over repeal of the plebiscite, they should welcome and embrace retention of the current wage system. Not only do an overwhelming majority of workers support existing law, and worked hard to educate voters about a misleadingly worded ballot initiative causing confusion over the issue, what sense is there in angering and alienating one of the largest groups of workers in the city?